Admission cost a shilling, with or without ticket, and although many accounts refer to 4,000 spectators, some contemporary newspapers put the figure at around 2,500. The latter is more realistic in the light of gate receipts that were sixpence short of £103, equating to just over two thousand admissions at a shilling each (ladies were admitted free). Out of this, Queen’s Park had to pay the match costs, including £20 to West of Scotland CC for use of their ground, and footed the bill for dinner that evening, all of which totalled £69 11s 6d. Overall the international generated a surplus of £33 and 8 shillings – not bad for a club which had less than £8 in the bank at the start of the season – and this profit was set aside as a travel fund for the return match. 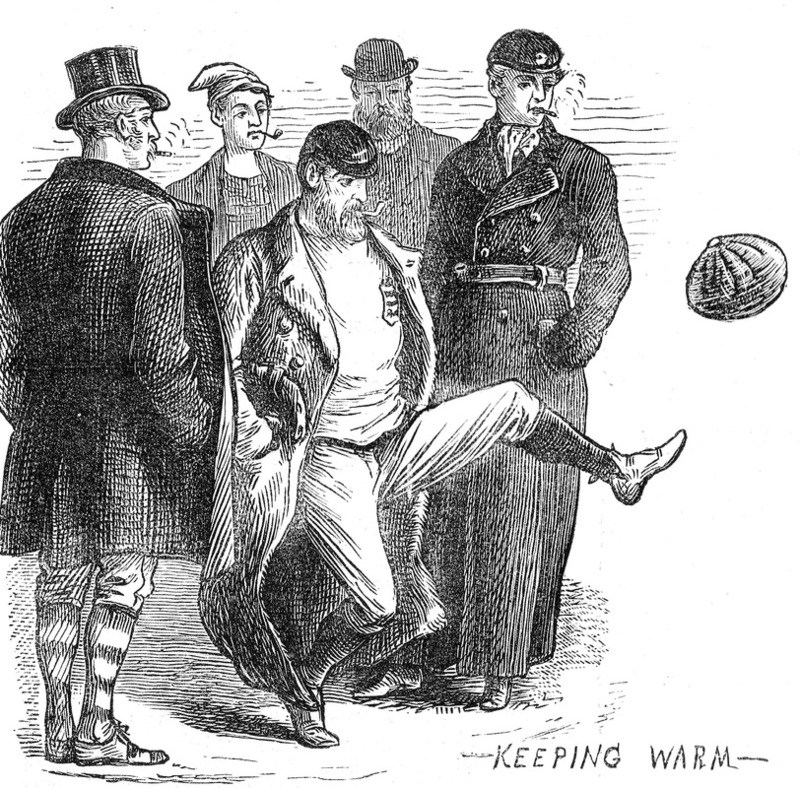 Kick-off was about 15 minutes later than the advertised time of 2pm, after the two teams made final preparations on the pitch, as observed in some style by William Ralston in The Graphic, a weekly pictorial. 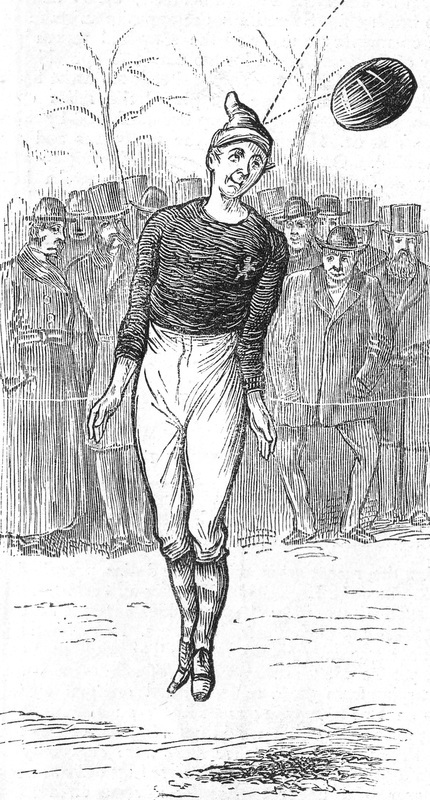 His series of nine drawings capture beautifully the mood of the event: the English players warming up while smoking pipes or cheroots, the wild-eyed determination of Gardner in goal, Mackinnon’s sensational overhead kick, the charging and shoving that was all part of the game, the top-hatted crowd straining the ropes. Ralston’s drawings are the only images of the match; a photographer had been commissioned, but sadly he packed up and left when the Scotland players refused to commit to purchasing his prints. There were marked physical discrepancies between the teams, as the Glasgow Herald observed: ‘The Englishmen had all the advantage of weight, their average being about two stones heavier than the Scotchmen and they had also the advantage in pace. 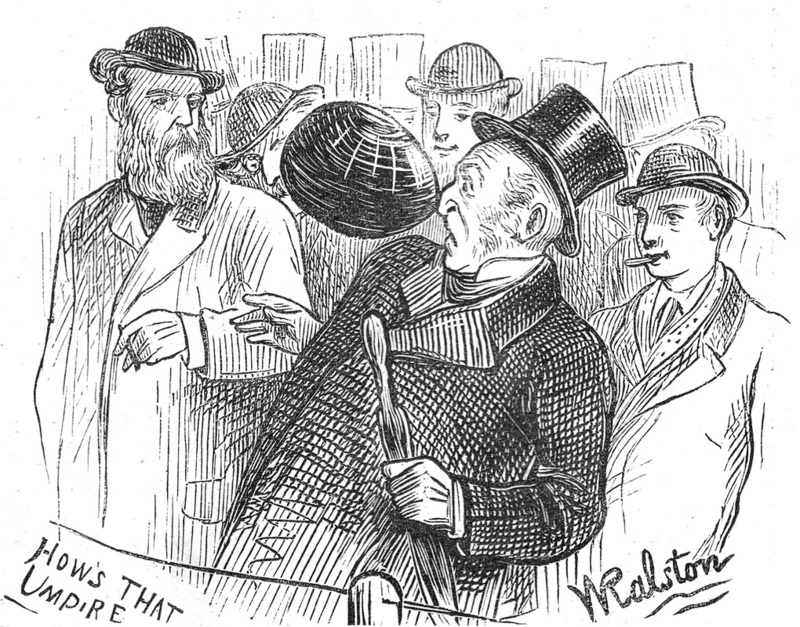 The strong point of the home club [sic] was that they played excellently well together.’ This allusion to the combination play of the Scots highlighted the differing playing styles, with Queen’s Park promoting a passing game that was alien to the English, who had been brought up on a diet of individual dribbling and ‘backing up’, which required a strong physical presence. 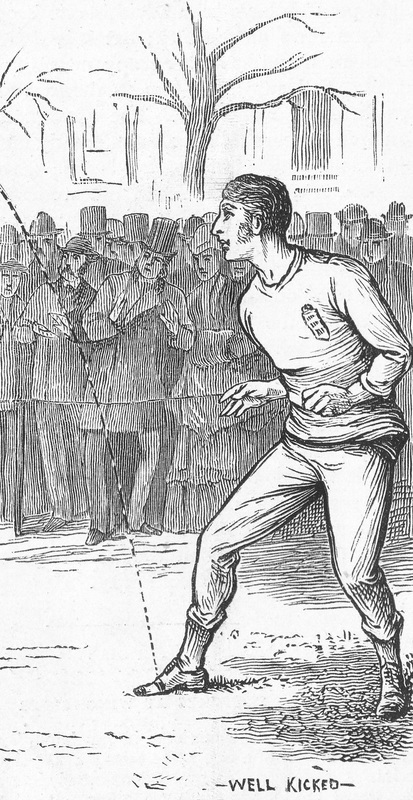 It was perhaps a legacy of the need for the Englishmen to adapt to association rules after their diverse school football experiences; their tendency to play as individuals upset Charles Clegg, who later confessed to remembering very little about the match except that his team mates played for themselves, coming to the conclusion that some of them were awful snobs and not much troubled about a ‘mon fra’ Sheffield’. The Scots had no such inhibitions, however, and the Queen’s Park members had long understood that teamwork was the most effective way of playing the game. Both sides were proficient in their own way, and the detailed match report indicates a thrilling end-to-end struggle between two well-matched sides. Chances were few, and Scotland came closest to scoring on the stroke of half time, as a shot from Leckie struck the tape across the top of the goal and bounded over, while Ottaway had a shot which was saved. There was the quirk of both sides changing their goalkeeper at half-time, with Barker trading places with Maynard, and Gardner did likewise with Robert Smith although he returned between the posts during the second half. After ninety minutes of energetic play, the game ended in stalemate. It would be almost a hundred years before the next goal-less game between the nations, but this did not seem to matter at the time and a draw was accepted as a fair result. The teams had dinner together in the city centre at Carrick’s Royal Hotel in George Square, toasting the health of the game in all its guises, even the Sheffield FA and the Scotland rugby team. They played a return towards the end of the season, Scotland travelling to London in March 1873 for a match at the Oval which England won 4-2. A week after that, the Scottish Football Association was formed. The rest, as they say, is history. Umpires: CW Alcock (Hon Secretary of the FA) and HN Smith (President of Queen’s Park).